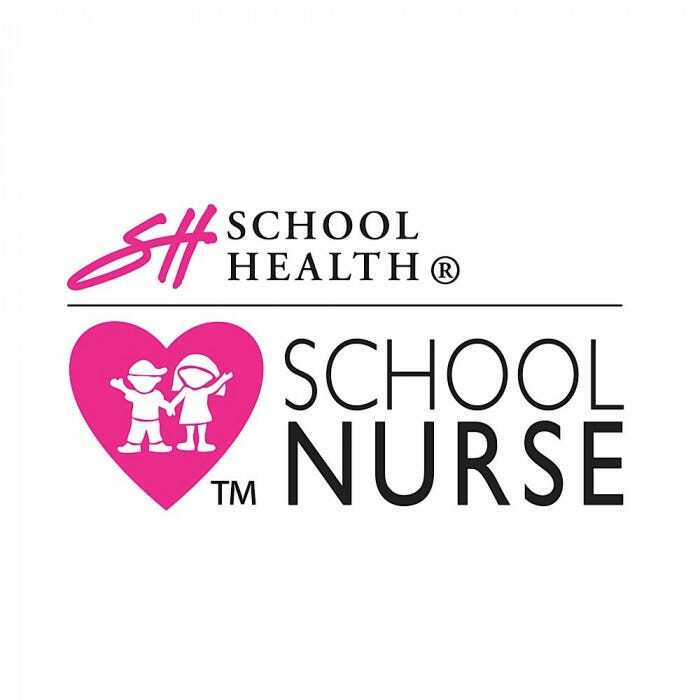 Identify yourself as the School Nurse with style. 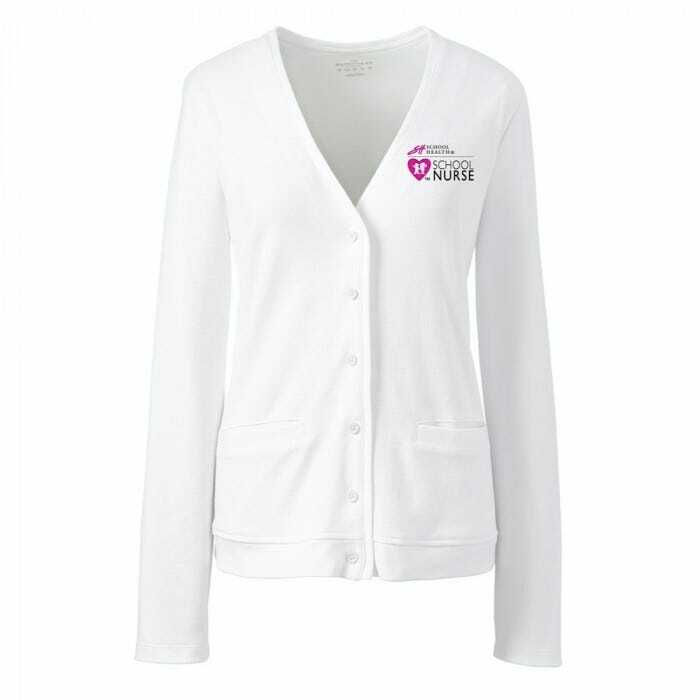 This Lands' End button front V-neck cardigan features School Health's exclusive School Nurse logo. 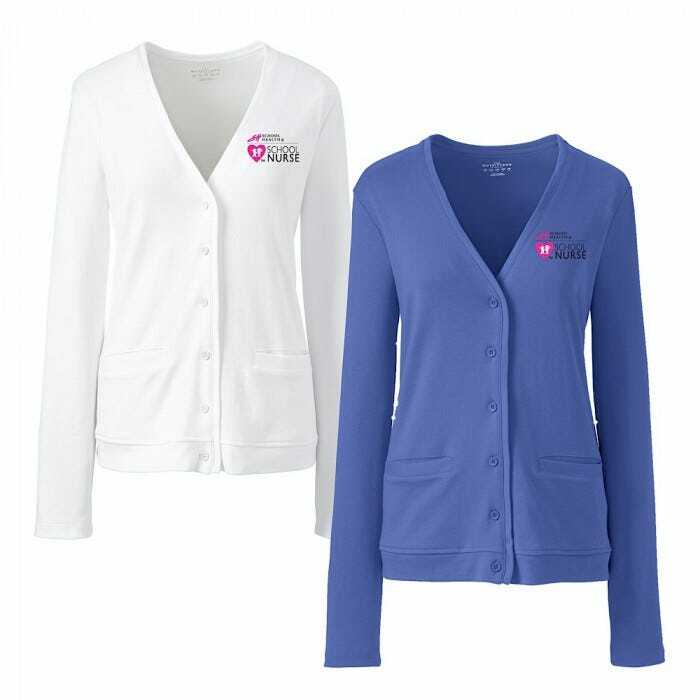 Leave in your office and wear while you're on the job. 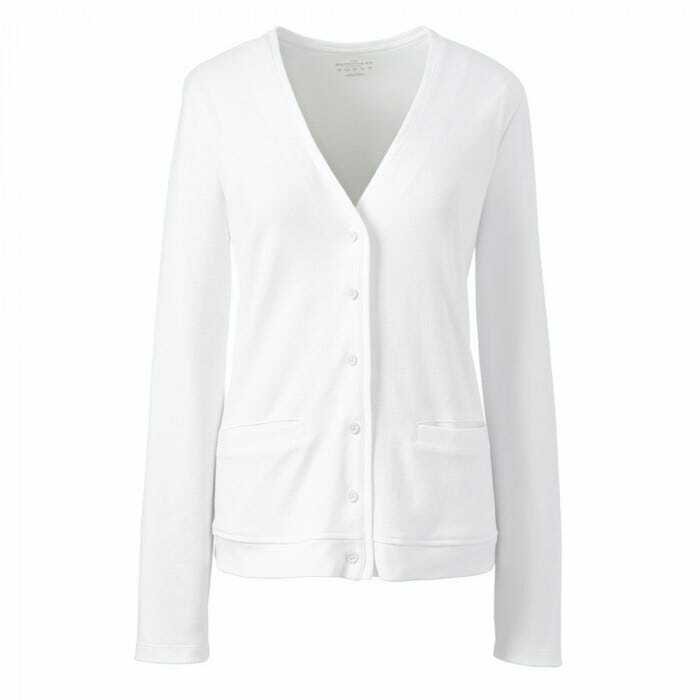 This cardigan is perfect for layering. 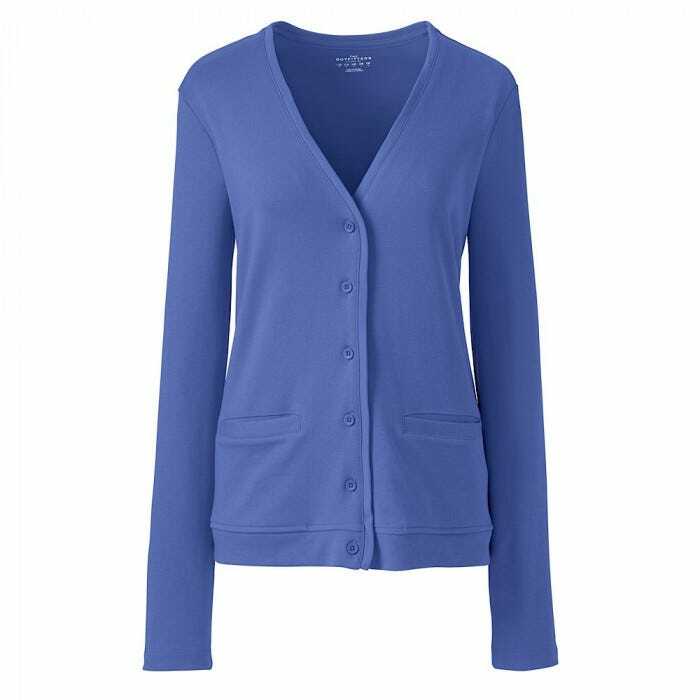 This V-neck cardigan is not only a great layering piece for the office, but its fabric blend also delivers long-lasting softness and enduring, vibrant color. Pair it up with a dress shirt, knit blouse or tee for a professional look. 60% cotton/40% polyester. Machine wash. Imported. Available in blue only.